Your Ultimate Guide to New Year’s Eve Parties—Cocktails, Recipes, and More! It’s almost that time of the year again, folks! And that means, it’s time to have a big celebration to ring in the New Year. You don’t want to drop the ball on being a fantastic host (the only ball that should drop is the one in Time’s Square), so if you’re planning on having a party instead of heading out for a night on the town, here’s all you need to know to prepare for an amazing evening in with friends and family. Start the night off right with delectable morsels your guests can munch on. 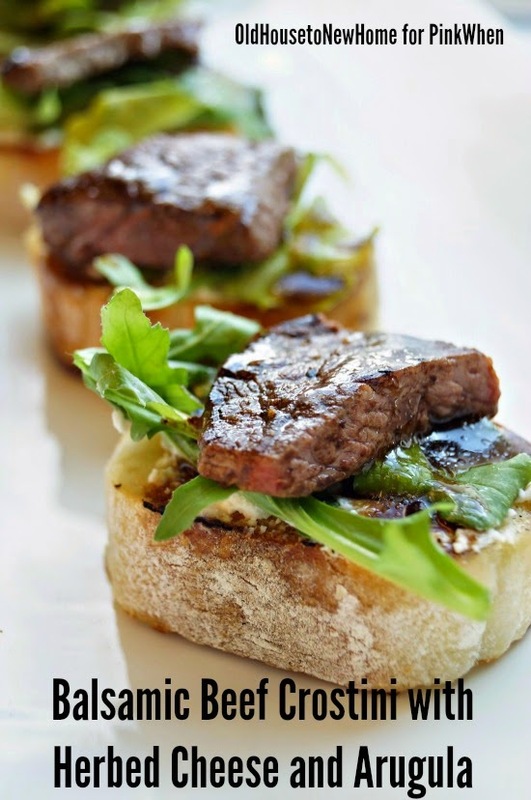 If you’re planning on having a party with heavy hors d’oeuvres instead of a main course or sit-down dinner, these beef crostinis are an amazing offering for your guests. They’re hearty, sophisticated, and will be devoured quick, so make a big batch! Beef goes well with horseradish, so include sides of the spicy root as well as extra balsamic for dipping. Beef pairs lovely with red wine, so course your New Year’s Eve party with flights of different cocktails, beers, and wines, and you’ll have a party people won’t forget! The theme of most New Year’s Eve parties is champagne. 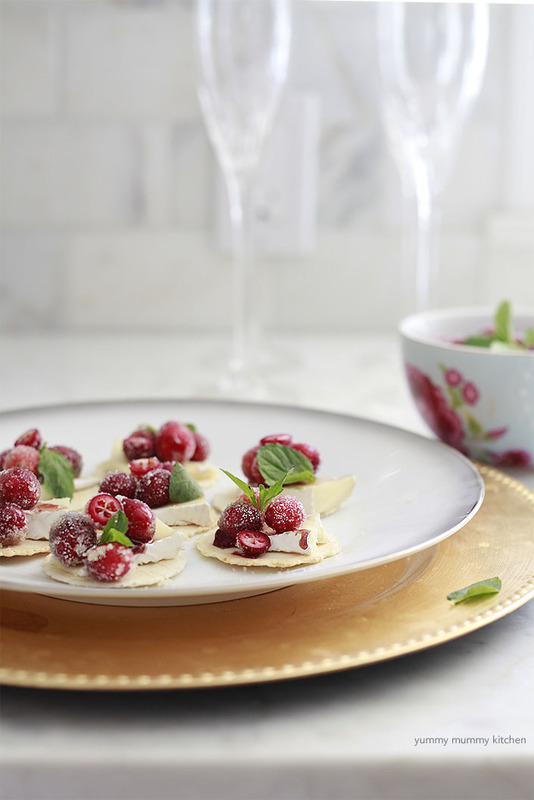 Bring that into your appetizer spread with these sparkling cranberry brie bites. The tart, fresh cranberries, rich and creamy brie, and crunchy cracker really work well together. This is also a appetizer that works well with sparkling cider, wine, and Champagne, so put out your drink of choice to complement this fantastic snack. 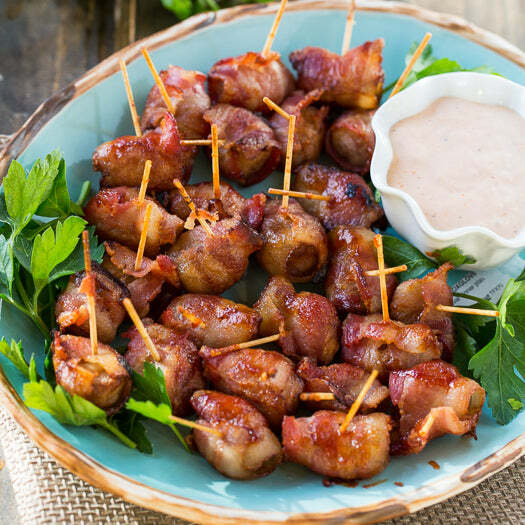 Chestnuts are still roasting on an open fire on December 31, so bring that spirit into your New Year’s Eve appetizer menu with these bacon-wrapped chestnuts. These appetizers are a host’s best friend because they can be prepped beforehand and kept in the refrigerator. About 20 minutes before your guests arrive, put them in the oven, so it smells wonderful when everyone walks in. You’re going to need something to wash down all the delicious food you’re preparing, so give these New Year’s Eve themed spirits a try. 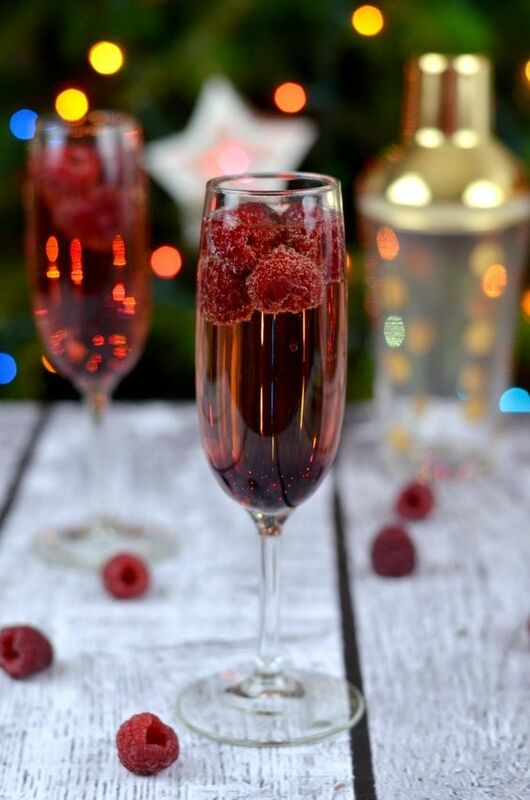 It’s all about champagne on New Year’s Eve, and when paired with the sweet raspberry flavor of Chambord, a raspberry liqueur, it’s so divine. These Champagne cocktails really put mimosas and bellinis to shame. And when you toss a few fresh raspberries into the glass, or muddle them at the bottom, they’re even better. Here’s a tip: use stemless Champagne flutes, so you can put them all in the dishwasher and avoid accidents. This recipe is a first. Definitely don’t go out and spend a ton of Champagne if you plan on making these New Year’s Eve margs, since the Triple Sec, tequila, and lime will definitely overpower it. 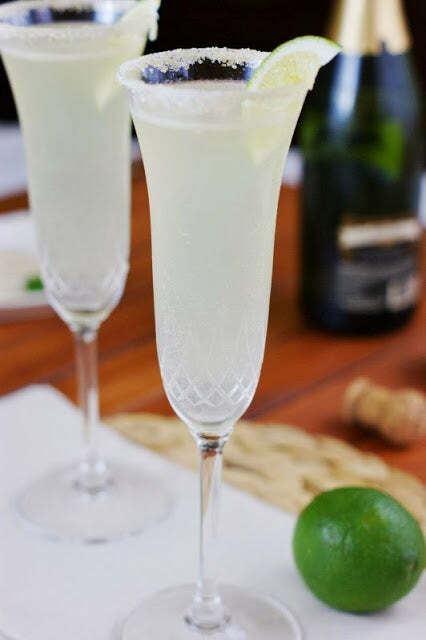 Instead, try cheap sparkling wine and enjoy your first-eve bubbly margarita! We think these Champagne glasses are a little fancy for margaritas, so try putting them in lowball glasses or in margarita glasses instead! Whatever you decide, it’ll be great. This could also serve as dessert, but would be a lovely way to start the evening as a snack/drink/dessert combo! The creator here used raspberry sorbet, but you could choose peach, lemon, or anything else that sounds yummy. These drinks need to be made to order, since otherwise they’ll lose their fizz and frozen status. When all your guests arrive, start pouring these and give everyone a spoon to enjoy! These desserts are perfect for a New Year’s Eve celebration. Sparklers put off a lot of smoke, so maybe enjoy these outside! However, they do embody the energy and fireworks of New Year’s Eve, which is why they’ve made the list as one of the best desserts to ring in the New Year. Looking for shiny edible elements for this DIY parfait? We have gold and silver Sixlets—chocolate balls with hard candy shells—to help you attain this festive look. Here’s a tip: make these the morning before and keep them in the fridge until dessert rolls around. Chocolate and citrus is a vibrant combination. Plus, winter is citrus season, so your grocery store should be full of clementines, grapefruit, and different varieties of oranges to enjoy. Dipping anything into chocolate is a great culinary experience, since you’ll get to lick your fingers as you go. Remember to choose a raw chocolate that isn’t full of stabilizers and to sprinkle a little sea salt on top of the chocolate before they dry. Keep these at room temperature or pop them in the fridge for a refreshing after-dinner palette cleanser. We’ve heard of Jell-O shots, but not Champagne Jell-O jigglers! These won’t have the effervescence once they’re fully solid, but they will have a little more lightness than typical gelatin desserts. 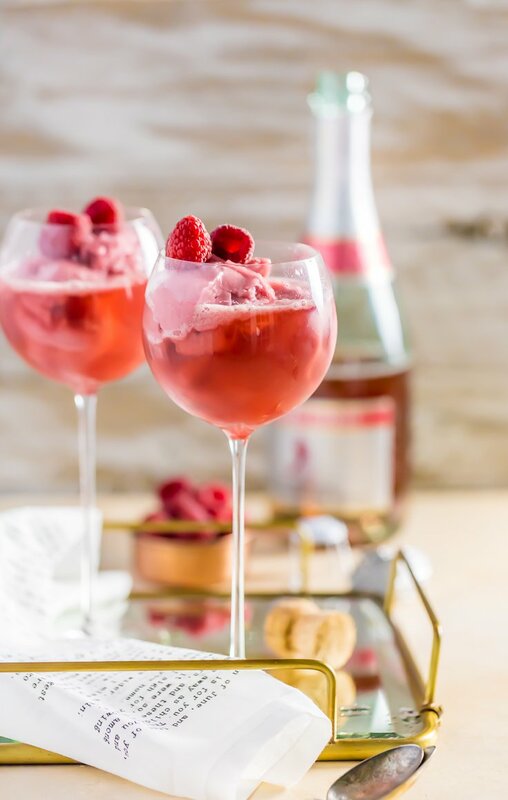 Use a star-shaped cookie cutter to finish these sparkling Jell-O jigglers and leave them on a plate or use them as garnishes for flutes of Champagne! Just make sure you eat these sparingly, as their alcohol content can unexpectedly catch up with you. Having a sit-down feast for New Year’s Eve? Try these indulgent recipes. 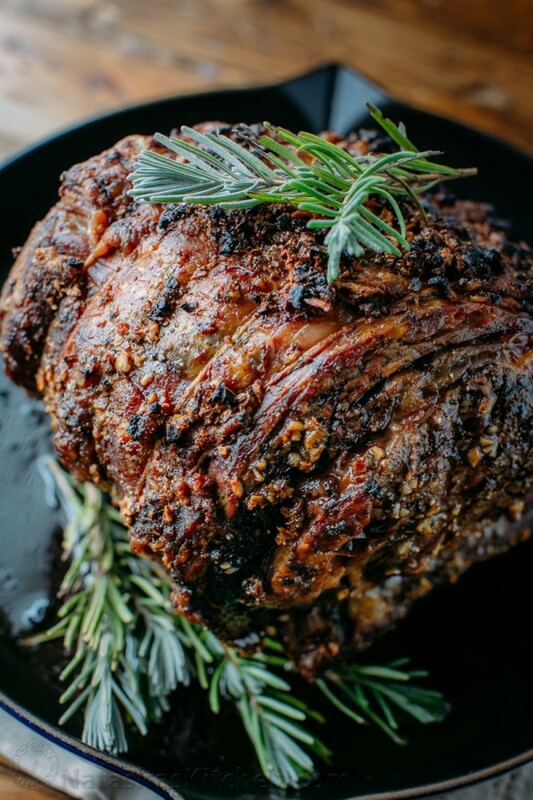 Prime rib is rich, mouthwatering, and savory—making it perfectly fancy for a special occasion such as New Year’s Eve. Serve this prime rib with mashed potatoes, crusty bread, greens, or whatever else tickles your fancy. The recipe above serves two, so use the one pound of meat for every guest ratio to ensure you have enough to go around. However, if you’re planning on making this entire recipe guide, people should be pretty stuffed by dinner! 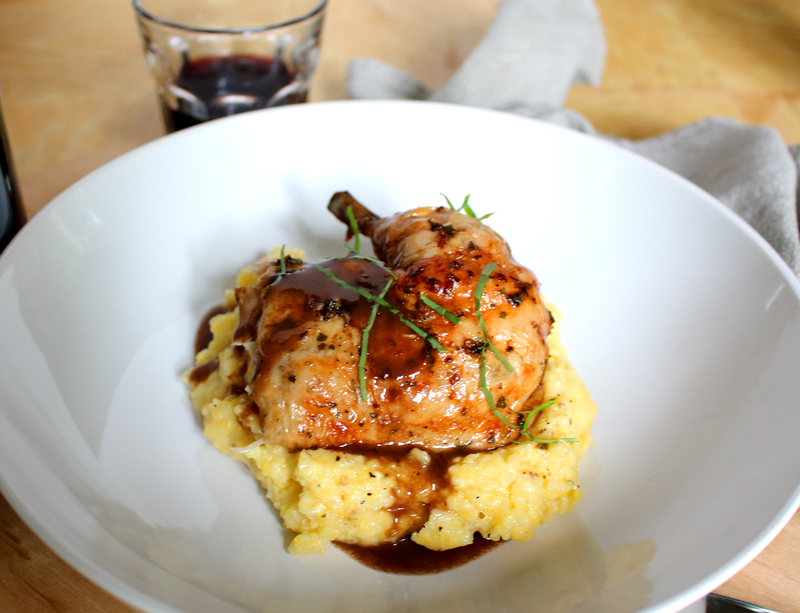 For those who like lighter fare, here’s a fantastic roast chicken recipe that will leave you free to do other things while it gets golden and crispy in the oven. The cheese grits underneath are an interesting departure from traditional potatoes or noodles, and are also a super quick recipe that will wow your guests. Either have everyone sit down at the table for a fancy meal, or set this up buffet style and let people serve themselves. That’s entirely up to the type of party you’re hosting and how you like to enjoy your food. 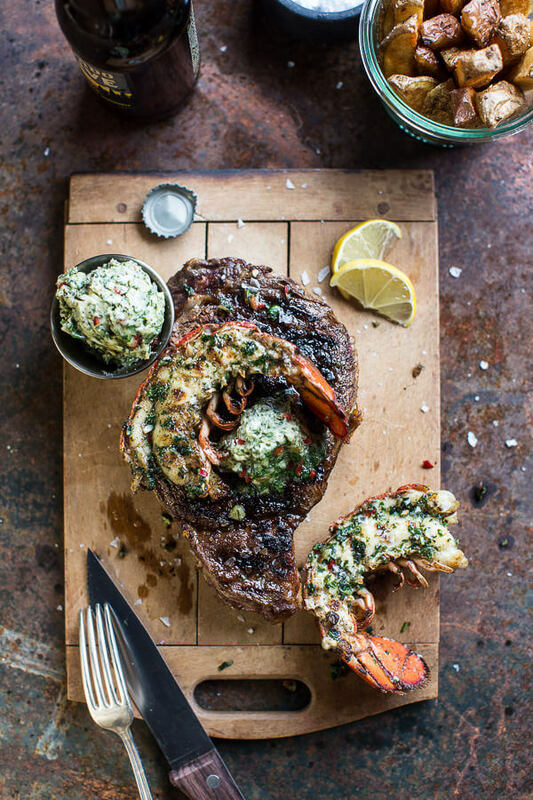 Why not splurge on New Year’s Eve with this incredible surf and turf recipe? Unless you want to break the bank, this is a recipe meant for small gatherings, but by all means, go all out if you wish! If you’re not a fan of butchering your own lobster, ask the expert at your fish market to do it for you. Buying seafood fresh is key to great taste, so get this the morning of your party if at all possible. Now that you have the menu set, make your place look the part with these fun New Year’s decoration ideas. 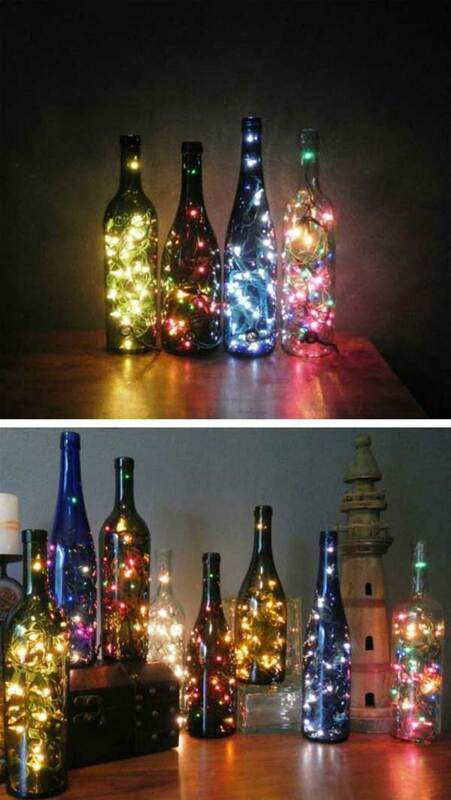 Use up your leftover wine bottles and holiday lights with this pretty and holiday-esque DIY. This would be a beautiful centerpiece to keep the lighting dim and romantic or scattered around your home in lieu of candles. These bottles can heat up with a whole strand of lights inside, so keep them away from anything flammable just in case. Wouldn’t want a flare-up to interrupt your perfect New Year’s Eve party! This is such a cute idea for a New Year’s Eve decoration and photo op. 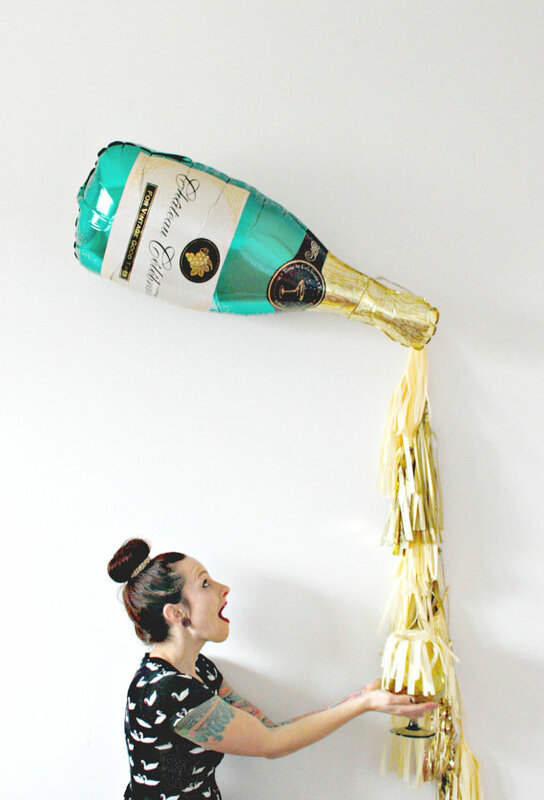 Make this by painting a cardboard cutout of a champagne bottle and using paper tassels on your wall. Or, buy it from this creative Etsy shop owner. If you’re setting up a table with appetizers and goodies, frame it by taping this decoration up above on the wall. Or, make it smaller and turn this into a cool wreath idea for your front door. The possibilites are endless! These are a beautiful, festive, and sophisticated decoration for a fancy New Year’s Eve party. 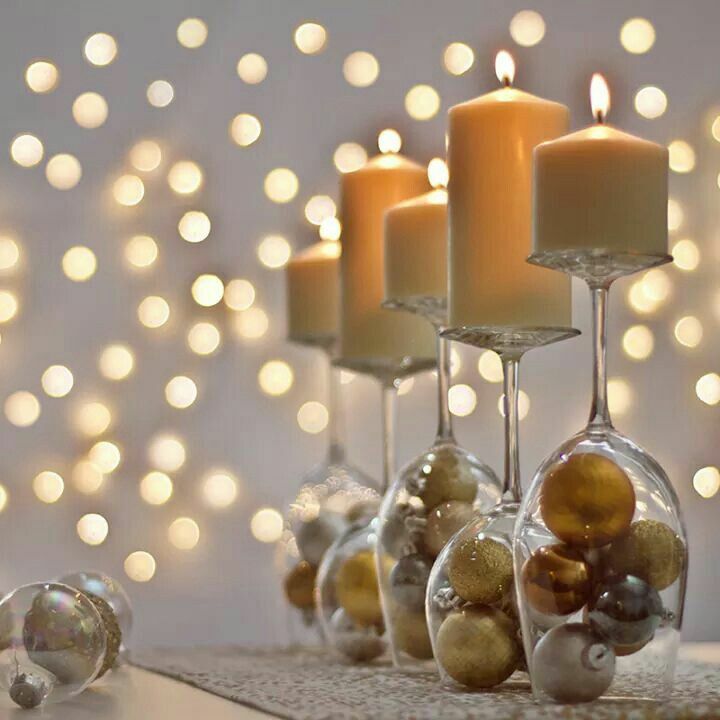 All you need to do is turn wine glasses over, place small ornaments beneath the glass, and balance a candle on top for a lovely centerpiece. These are a little rickety, so be careful not to tip them over or you’ll have a mess to clean up! This year was a great one for Candystore.com. Thanks for being a part of it for the last twelve months. Happy New Year, we’ll see you in 2017!